Since discovering alcohol inks three years ago, I have painted almost exclusively in this new exciting medium. I started painting on black ceramic tiles in 2015 and really love the dramatic quality of them. 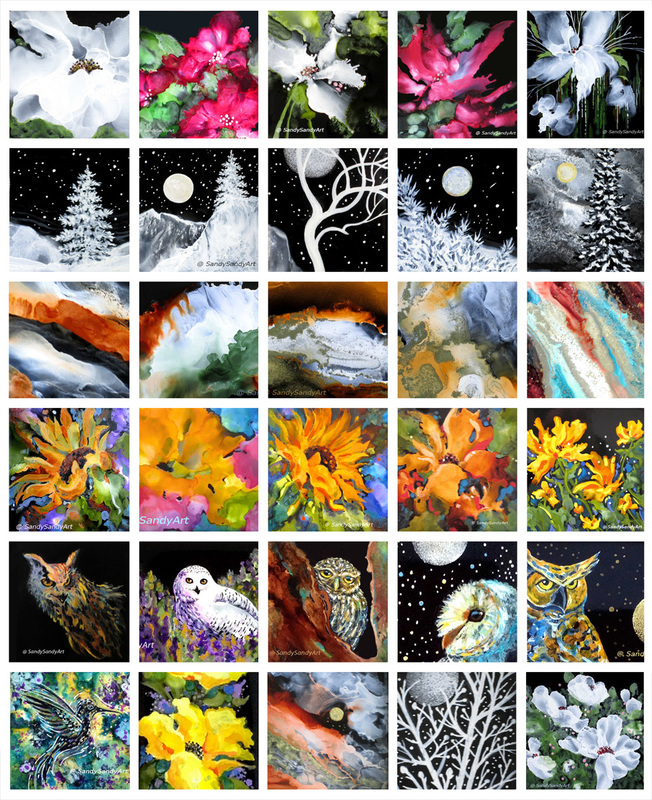 So when I decided to my seventh 30 paintings in 30 days challenge, painting on black tiles became my theme for this collection. 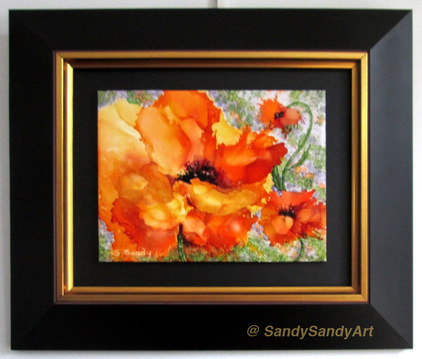 I had high quality frames custom made to accommodate the tiles and they are gorgeous! The edges of the tile is painted to match the painting and it is mounted to a textured art board. The tile is sealed and varnish protected. There is no glass. The image above is an actual photo of the frame profile. "Orange You Fabulous" ~ Sold.